Our unique Croatia and Greece tour will provide the opportunity for you to visit the best these wonderful countries have to offer, with enchanting UNESCO listed ancient cities, breathtaking lakes and spectacular scenery. 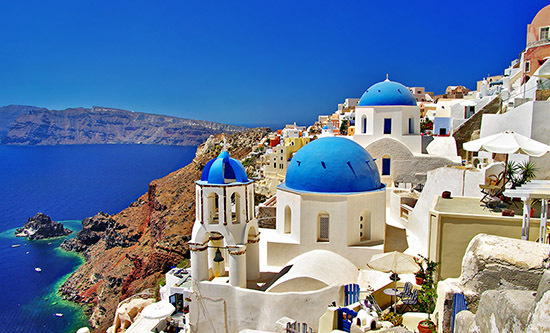 Combine the best of Croatia and the idyllic islands with captivating Athens, delightful Mykonos and romantic Santorini. It’s not surprising Greece and Croatia are currently so popular. 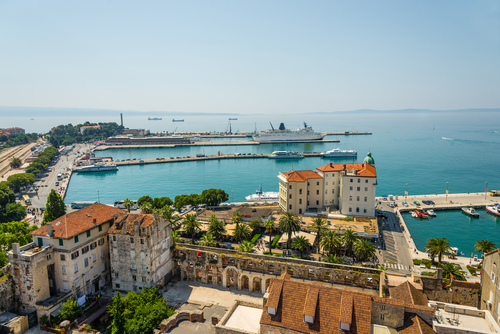 You will be met by our private airport transfer and driven along the charming coastline to the fascinating seaside town of Split. Best known for its imposing UNESCO-listed Diocletian’s Palace, Split is Croatia’s second largest city. On arrival, join our private guided tour of the Old Town to discover the popular major highlights of the city, with a brief history lesson on the local historical details. 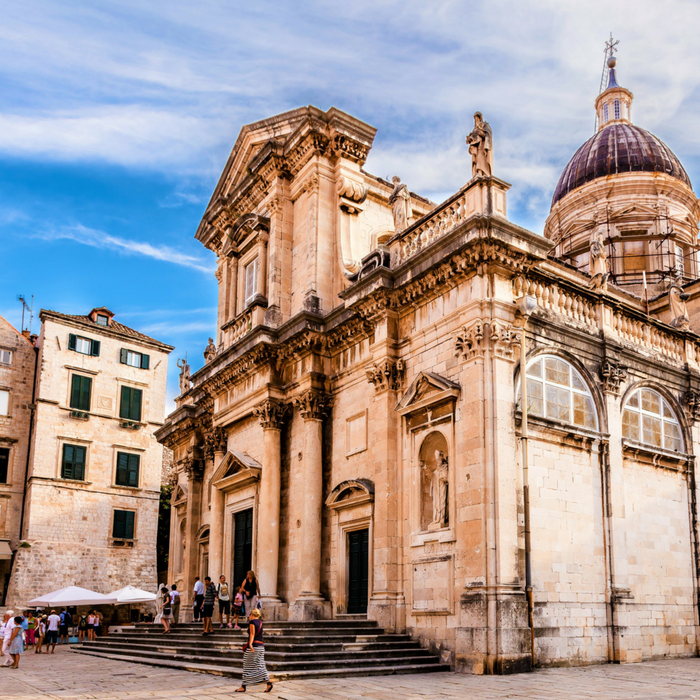 Split is embellished with ancient Roman and medieval architecture that enhances its rich heritage. Spend the evening promenading along the Riva waterfront, hiking to the top of Marjan Hill, or dining on delicious local cuisine in a friendly atmosphere. Today we go on an exhilarating and action-packed speedboat tour to two of Croatia’s most famous and must-see islands – the magnificent jet-set island of Hvar and the stunning island of Vis. Hvar Town is set against a backdrop of sun-bleached white houses and tranquil turquoise sea and exudes the magical Mediterranean charm of yesteryear, perfect for exploring. Marvel at the amazing Blue Cave on Bisevo Island with an extraordinary game of light created by the sunrays crawling into the cave which will leave you amazed as you witness this unique natural phenomenon. Spend some time swimming in the crystal-clear Adriatic, enjoying the charming beaches and bays, before indulging in traditional Dalmatian cuisine and sampling the freshly caught fish at a popular local beachfront restaurant. 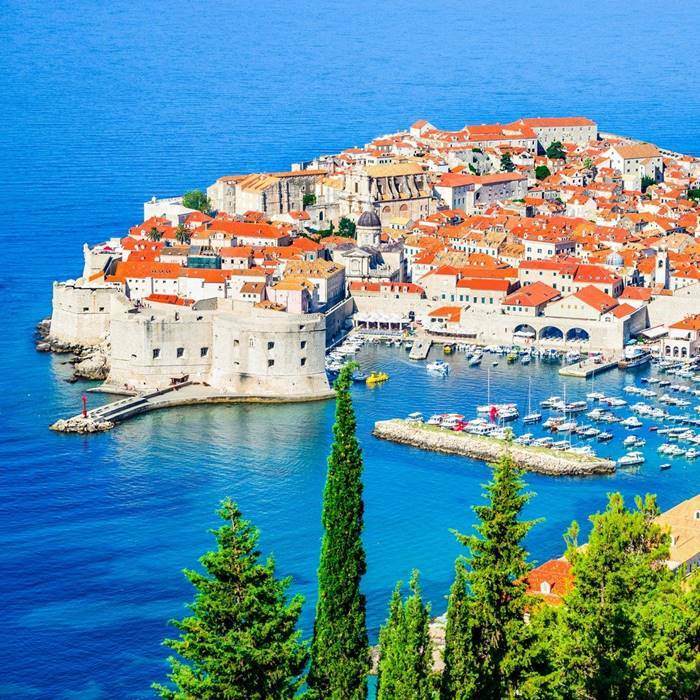 Our next destination in Croatia is the UNESCO World Heritage site listed Dubrovnik which requires little introduction, affectionately known as the ‘Pearl of the Adriatic’, due to its many marble wonders. You will travel by private transfer and after arrival at your hotel, join our private guided tour of the Old Town and enjoy a glimpse of the many famous places where the hit TV show Game of Thrones was filmed. The historic medieval city boasts protective defensive walls, majestic palaces and ornate churches. Wherever you look you will discover a unique magical charm and magnificent architecture. You will also take a trip on the Srd Hill cable car to experience breathtaking views of the old town and Elaphiti Islands and can enjoy a delicious meal whilst gazing at the mesmerising sunset. 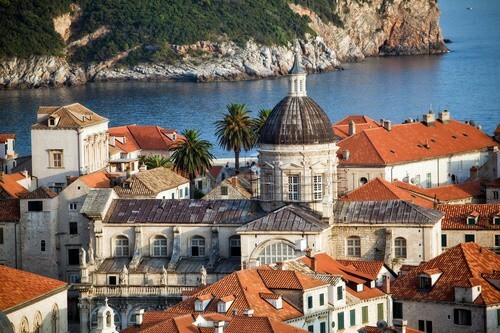 Explore the iconic sights and wander through the town of Dubrovnik at your leisure. One of the highlights of this spectacular city is the walls that surround the historic centre. 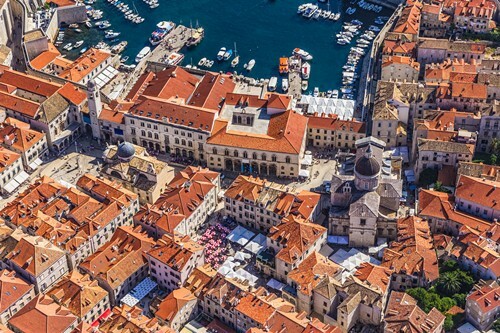 You can even take walk along the top of the 6,365-foot-long walls that were constructed to defend the city from invaders and you will experience breathtaking views of the heavily baroque-themed streets of the city and of the Adriatic. 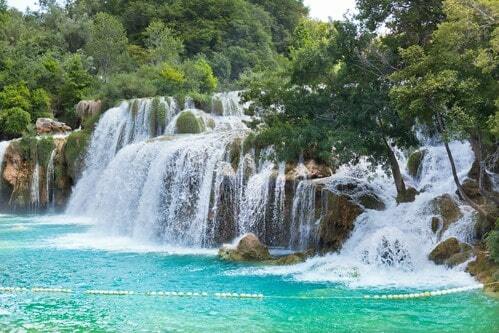 You will discover why it’s the most popular city in Croatia and dubbed the Pearl of the Adriatic. Alternatively, we can arrange a half day wine-tasting experience in the nearby Peljesac region before returning to Dubrovnik in the evening to enjoy a delicious meal within the old town. 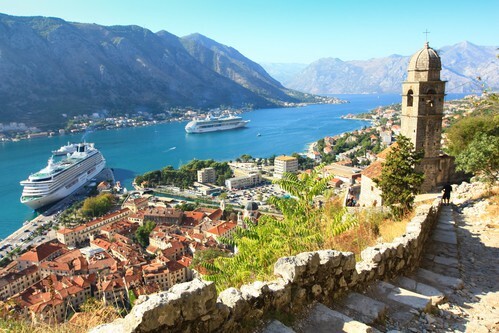 You will have the opportunity to visit the city of Kotor in neighbouring Montenegro. This UNESCO-listed World Heritage Site was built between the 12th and 14th centuries and was at one time the settlement of the Romans and early Christians. Ancient city walls surrounding the Fortress of Saint Ivan also protect the city of Kotor and stretch out for two miles in total. You will also have an opportunity to enjoy the spectacular views around the beautiful Kotor Bay before returning to Dubrovnik to enjoy your final evening in Croatia with a cocktail on one of the city’s roof terrace bars. 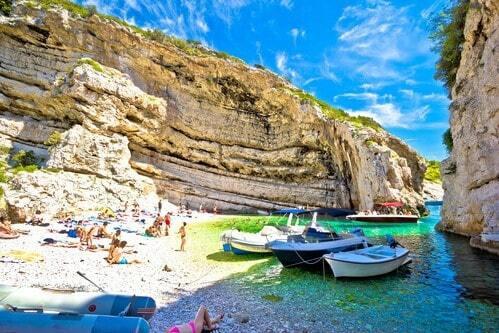 We will arrange a private transfer to Dubrovnik airport for your short flight to Athens. This spectacular city has undeniably the most glorious world history, a city which is worshipped by gods and people. 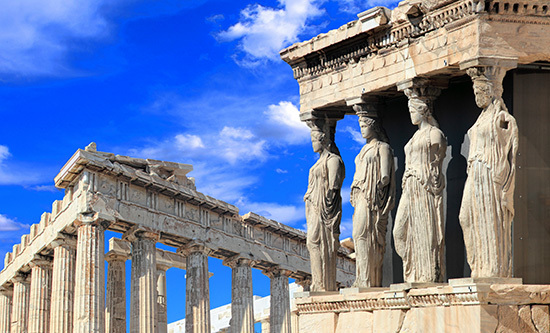 The intriguing Greek capital, has always been marked as the birthplace for modern civilization. After checking into your hotel, you will enjoy some time at leisure to explore the city. 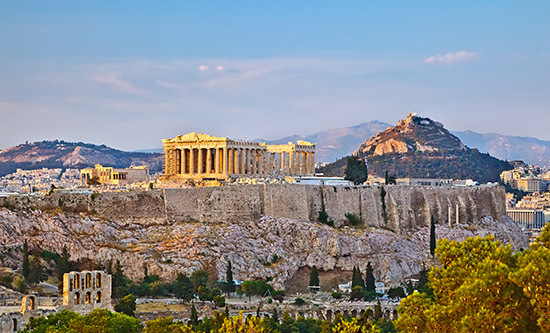 Indulge your inner foodie and sample the edible delights of Athens. Take to the streets to visit Athens’ cafés, markets, delicatessens, street food haunts and hidden specialty food stores and learn more about the city’s rich culinary heritage. 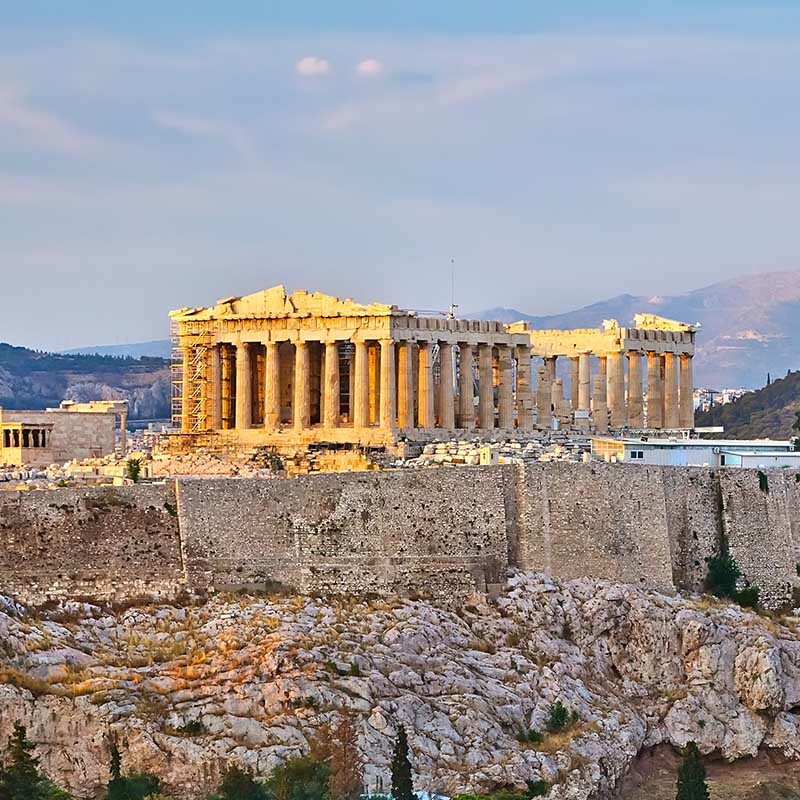 Explore the iconic sights of Athens and delve into the rich history and heritage on a private half-day tour of the city’s headline acts led by a knowledgeable local guide. 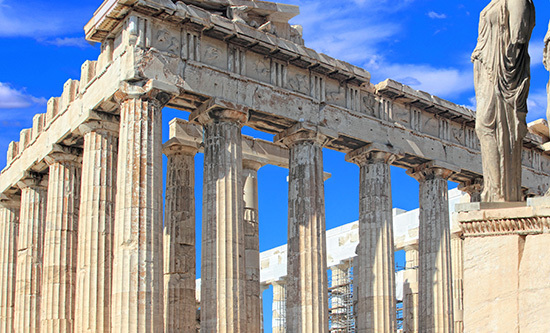 Explore the UNESCO-listed ruins of the Acropolis of Athens and dive into the mythological world of Ancient Greece as you visit the Parthenon, the Temple of Zeus and Temple of Athena Nike. You’ll also get chance to see the Panathenian Stadium, where the first Olympic Games was held in the 19th century; witness the Changing of the Guard ceremony outside the Greek Parliament; and visit the National Gardens. In the evening, sample local treats like sweet donuts known as loukoumades, Greek bread and regional cheeses, washed down with Greek wine and freshly brewed coffee. You will have a private transfer to the airport for your short morning flight to the cosmopolitan and glamorous island of Mykonos. After checking in to your boutique hotel, you will have the afternoon and evening to explore this island of contrasts. 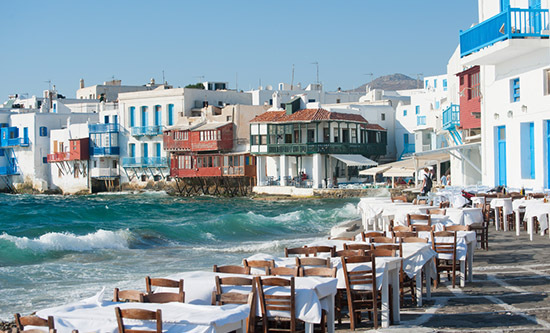 Mykonos is a whitewashed paradise in the heart of the Cyclades. 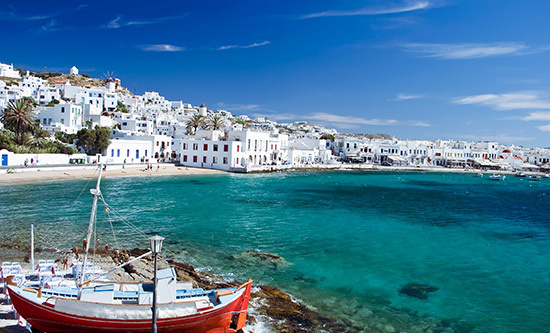 With sandy beaches, whitewashed villages and a vibrant, ambience, Mykonos adds a touch of glamour to the Greek Islands. Amble through Mykonos Town’s narrow streets, shop for handmade leather goods and jewellery and have a sunset dinner in charming ‘Little Venice. You will be met by an excellent English-speaking local guide and private, air-conditioned vehicle for a fabulous tour of the charming island. You’ll have absorbing walks through the whitewashed streets of the towns and villages. Learn how the winding streets were designed to confuse invading pirates. Glitzy yachts line the marina’s front, admire the picture-perfect alleys, splendid Cycladic architecture and elegant streets, dotted with the white sugar cube houses that grace Greek Island postcards. You’ll visit the gorgeous beaches of St. Stefanos and Kalafatis, the enchanting village of Ano Mera, and the Panagia Tourliani Monastery. You will take your private transfer to the port for your morning catamaran or ferry to the majestic island of Santorini. Pretty sugar-cubed towns with blue-domed churches and world-famous sunsets set the scene but that’s just the start of the island’s charms. 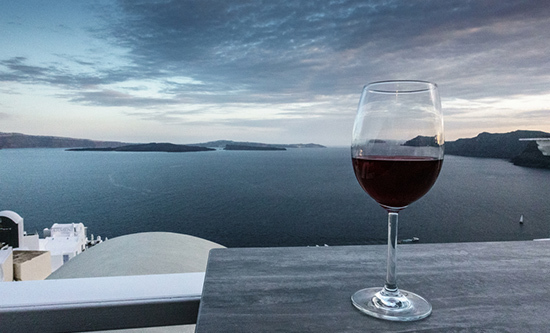 You will check into your luxury boutique hotel and have a moment to take in the wonderful views over the dramatic Caldera cliffside. We would recommend that you sample the delicious local cuisine in one of the tavernas in the capital Fira, whilst admiring the world-famous sunset. Admire the cliffs, where the volcanic land meets white mansions and yposkafas, surrounded by the brilliant blue sea. Your private guide will meet you after breakfast for your tour of Santorini with the personalised attention of our passionate and informative guide. 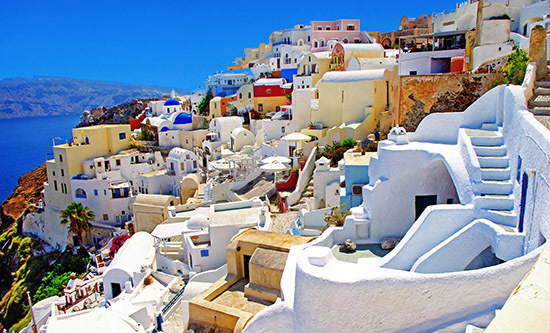 Visit the best spots on the island, including the enchanting cliffside village of Oia, filled with white-washed sugar-cube style buildings overlooking the dramatic caldera. Explore Santorini’s Red and Black beaches, whose volcanic sand lives up to their respective names. Also, Akrotiri which features bronze age ruins mired in cooled lava from an ancient volcanic eruption. 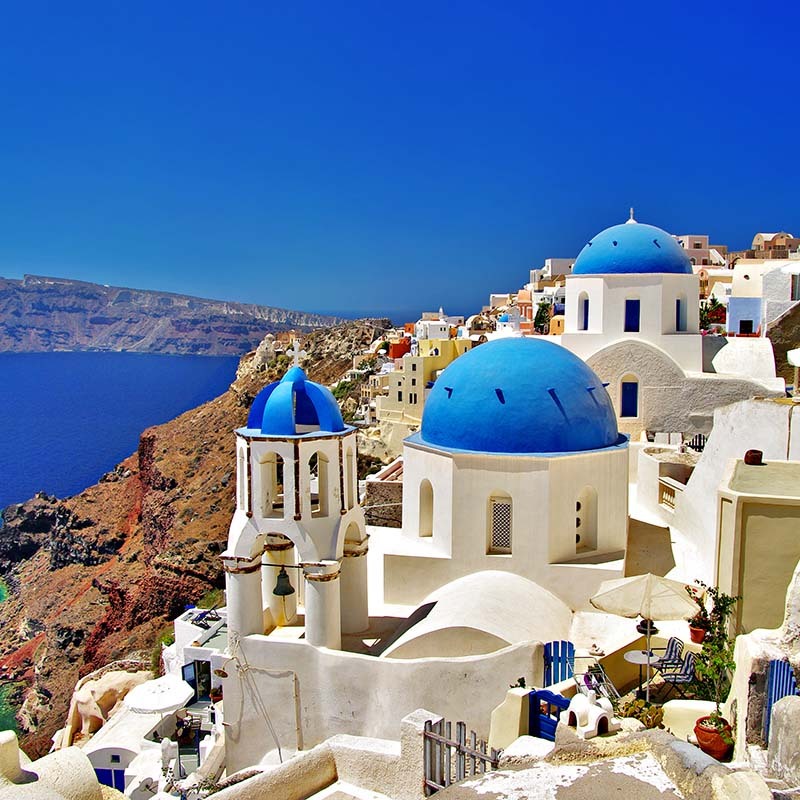 Another highlight is the Moni Profiti Ilia Monastery, resting on the highest point in Santorini, 1,701 feet in altitude with truly breathtaking views of the island and surrounding turquoise seas. One-way flight from Dubrovnik to Athens and one way domestic flights from Athens to Mykonos and Santorini to Athens. Catamaran/ ferry transfer from Mykonos to Santorini. Private city walking tours of Athens, Santorini, Mykonos, Split & Dubrovnik.